Imagine your boss building a state-of-the-art home for you and your family, close to work and equipped with all the amenities. Sounds pretty great, right? Guess again. 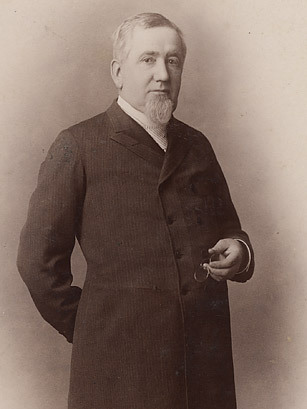 George Pullman, a 19th century American industrialist, built a company town just south of Chicago (since enveloped within the city's limits) for the employees of his railroad-car business, the Pullman Palace Car Co. The town had everything: sewer lines, a church, a library and shopping centers. The catch? Pullman controlled the town with profits in mind: when he cut workers' wages by 25% in 1893, rent prices held steady. Rent was deducted from employees' paychecks, leaving men with little left over to feed their families  not to mention pay for water and gas, which Pullman also charged them for. It's hardly a surprise that his employees went on strike on May 11, 1894  or that his family was reportedly worried after his death that former employees would desecrate his remains.